What is in-home senior care? 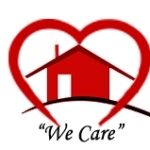 Senior in home care is care that allows a senior or elderly person with special needs to remain in their home. It might be for people who are getting older, are chronically ill, recovering from surgery, or disabled. Home health aides provide hands-on care and assistance to with ADLs (see below). They can also help with cooking, shopping, and laundry. Homemakers or companions provide services such as light housekeeping, transportation, and companionship. Companionship (card playing, taking walks, reminiscing). Home care also provides caregivers with some much-needed caregiver respite care to ‘regroup’ by going to a movie or simply taking an uninterrupted nap. Trained and experienced caregivers provide care wherever ‘home is’ including an assisted living facility, nursing home or hospital, as well as a private residence. Most offer specialized training in caring for individuals with Alzheimer’s and Parkinson’s. When selecting a home care agency it’s important to verify they are licensed, bonded and insured and that multiple background checks and driving records (including auto insurance coverage) are performed. The driving records in the event their caregivers be using the family car for doctor appointments, errands, etc. Who Provides Home Care to Seniors? If you or a family member needs home health care, and you live in Texas, plan on it costing about $18 per hour. If purchased ahead of time, LTC insurance can pay for home care, often from the first day, it is needed. It will pay for a visiting or live-in caregiver, companion, housekeeper, therapist or private duty nurse up to seven days a week, 24 hours a day (up to the policy benefit maximum). It’s important to check the person’s policy regarding the coverage they have. 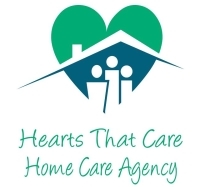 For low and fixed income seniors in Texas home care services are often provided through local state agencies and non-profit organizations as well as the Area Agencies on Agency. While they typically do not charge for their assistance they are often understaffed and unable to provide adequate long-term care due to the supply and demand issue. If your parent has low income and few assets (other than the house they live in), he or she might qualify for Medicaid. If so, a program run by Medicaid in your state might be able to pay your parent directly for care at home, which your parent could then use to pay you to provide that care. In some states, this kind of cash assistance is possible even if someone has slightly too much income or assets to qualify for Medicaid. The arrangement works through a state-run program called Cash and Counseling, or a similar program. Another Medicaid resource is the Personal Care Services (PCS). This program is an optional statewide service (so you need to check to ensure your state offers such a program) for their Medicaid recipients who are experiencing some functional impairment and need a personal care assistant to help them with some aspects of daily living, such as dressing or bathing. 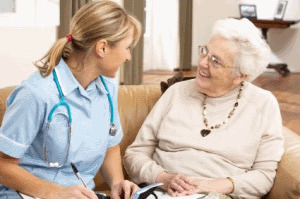 The purpose of the program is to accommodate long-term chronic or maintenance health care, as opposed to short-term skilled care as is provided under Medicaid’s home health program. Personal Care Services are non-emergency health-related tasks done by qualified staff in a medically eligible beneficiary’s home. Next Post: What is Early Onset Alzheimer’s?